Last week's announcement from Mitsubishi that they were offering a $500 rebate and taking the price of the HC4900 to a mere $1995 stimulated a lot of inquiries. How does the HC4900 stack up against the other aggressively priced 1080p model, the Sanyo Z2000? Well, we set them up and took another close look at both of them. The Mitsubishi HC4900 has an official street price of $2,495, but as of yesterday, they are offering a $500 rebate, bringing the official price to just $1995. So there we are--1080p resolution projection for under two grand. I guess we better take another look at the HC4900 and put it into perspective. We've just posted the review of the outstanding JVC DLA-RS2, an updated edition of the RS1 that was released last spring. Giving this one an Editor's Choice Award was a no-brainer. Read all about it for more details. Now that we've seen almost all of the announced 1080p models under $10,000, we are ready to assign 5-star ratings to them all. We will get that done within the next day or two--Thursday at the latest. The only 1080p model that isn't in the collection of reviews this fall is the Epson Cinema 1080 UB, and that is only because the review sample has not arrived yet. We are not bypassing it intentionally, but many people are trying to make decisions and we need to get the ratings posted for those who are waiting for them. We will get the Epson unit reviewed and included as soon as we can. We are still working through the review of the JVC DLA-RS2. I was hoping to have it done by today, but it will take another couple of days to wrap up some details. Overall, this is a beautiful projector, and a definite step up from the outstanding RS1. Contrast, black levels and color saturation exceed the RS1. In addition, several of the features we would have preferred to see on the RS1 have been added to the RS2, including HDMI 1.3 and anamorphic lens compatibility. The RS2 is not quite as bright as the RS1, but it is plenty bright enough for light controlled home theater. The DLA-RS2 will definitely be the choice for the videophile purist with the budget to get the best 1080p projector under $10,000. The full review should be posted by about Tuesday. We have not yet received either of the new Epson models, so we will wait no longer. We are going to complete the 5-star ratings of all of the 1080p models we've reviewed so far, and we will review the Epson machines later as they become available. 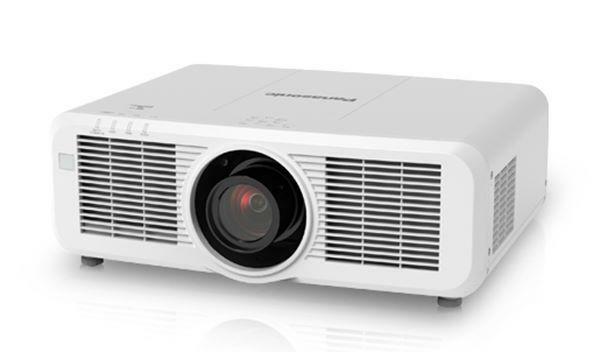 The 5-star ratings on all of the 1080p projectors that we have reviewed this fall will be posted next week. Just an update on the review schedule for you. We will be posting the review of the BenQ W500 this Friday afternoon, assuming all goes according to schedule. Meanwhile, the JVC DLA-RS2 has arrived, so that is the next one up in the 1080p review cycle. Neither of the Epson models have been delivered yet, but with a little luck we will see them toward the end of next week. We are still awaiting arrival of the Canon REALiS SX7 as well, but we don't have a firm date on that at this time. After we get through the crunch of reviewing the newly released home theater projectors, we've got several pocket projectors to look at. We've got three on hand, and having never reviewed anything in this class, it's about time we did. So we will have some comments to make on those after the holidays. We've just posted the latest 1080p projector review, that of the InFocus Play Big IN82. This is a very bright high resolution projector that is particularly good for ambient light display. I will be out of town next week for the Thanksgiving holiday. So there won't be any postings next week, and I won't be able to respond to emails. We have several more reviews in the works that we plan to get done in the last week of November and the first weeks of December prior to Christmas. Those include the BenQ W500, the Epson Home Cinema 720p, the Epson Cinema 1080 UB, the JVC DLA-RS2, and a new SXGA+ model, the Canon REALiS SX7. These reviews are tentatively scheduled and are subject to the arrival of the review samples from the manufacturers in the time frames we expect them. We do have the BenQ W500 under review right now, so that one will definitely be posted the week of November 26. But we are still awaiting the arrival of the others. We have been getting a lot of requests to compare models A to B, and everyone's request is a bit different. So we are trying to address the more frequently asked for comparisons first. At the top of the list have been interest in how the Panasonic AX200 stacks up against the Sanyo Z5. These are two of the hot 720p LCD products on the market right now, and Bill put together that comparison. It is posted here. Another shootout many have been asking for is between the Panasonic AE2000 and the Mitsubishi HC6000 .... both of these being formidable 1080p projectors that deliver razor sharp images. I've just posted that comparison here. The next review to be published will be the Infocus Play Big IN82, which is the first 1080p projector from InFocus. We expect to get that one online by about next Tuesday. We are still waiting for delivery of the new Epson 720p and 1080p models, and once they arrive we will let you know when we expect to get those reviews completed. The Sanyo Z2000 review has stimulated a lot of questions which we are trying to get to. One of them was regarding confusion over the anamorphic stretch capability of the Z2000. Apparently other reviewers are saying the Z2000 has it. I said it didn't, without any further clarification. The fact is that the Z2000 does not provide an anamorphic vertical stretch mode with HD signals, either via HDMI or component. However, if you want to feed the projector 480i or 480p, then the Zoom mode will in fact accomplish the stretch for you. Of course, nobody in their right mind would spend all the extra money for an anamorphic lens and 2.35 custom screen, just to end up feeding that whole rig a 480 signal. So practically speaking, the Z2000 does not provide anamorphic stretch capability in any usable manner. If you don't know what we're talking about, it is probably not relevant to you. The only time you'd ever need an anamorphic stretch mode on your projector is if you want to install a 2.35:1 Cinemascope widescreen system, and pay big bucks for an external anamorphic lens. Most people looking to spend in the low $2,000's for a 1080p projector will be quite happy with a conventional 16:9 format screen, and wouldn't ever use the anamorphic stretch mode even if the projector had it. We've received many questions regarding the relative brightness of the Panasonic AE2000 and the Sanyo Z2000. We have also had a number of inquiries about how each of these units perform with 1080p/24 signals. We will address those issues in the upcoming review of the AE2000, which we still hope to post on Friday. Thanks for your patience, and thanks for reading the site! Just a quick update, since I know everyone is wondering about the review schedule. We plan to post the review of the Sanyo Z2000 on Monday afternoon, and the Panasonic AE2000 next Friday. However, the Sanyo review will include comments on the Panny AE2000 as well. The Sanyo Z2000 is a surprisingly strong competitive offering. It has not had as much buzz as some of the other 1080p models released this fall, but it is delivering superb picture quality for a ridiculously low price of just $2,195 after rebate. And that price includes a 3-year warranty. Though it hasn't yet captured as much attention as some of the higher profile models, it will very soon. From my perspective, the Sanyo Z2000 may turn out to be the most influential product release of the season as it sets a new benchmark in 1080p price/performance. Stay tuned, and thanks for your patience as we work through all of these units. We are deep into the 1080p evaluations at the moment. It looks like the first review out of the shoot will be the Sony VPL-VW60. We are still in conversations with Sony about one issue we've uncovered, and we need to get that resolved prior to completing the review. But it should not take too long. Meanwhile, many of your are asking for comments on how the Panasonic AX200 compares to the 1080p projectors, and the Panasonic AE2000 in particular. Since I referred to the AX200 as the "poor man's 1080p projector" it warrants further comment. First, the AE2000 is showing as a magnificent projector, clearly the best home theater projector Panasonic has ever made. It is performing extremely well against the other 1080p models we have in house, and will be one of the strongest 1080p products of the fall season. Now, when we set it up against the AX200, here is what we find. First, in terms of resolution, the AX200 displays 1080p source material almost as cleanly as does the AE2000. In many scenes viewed side by side, especially those with lower inherent contrast, it is virtually impossible to tell which picture is coming from a 720p projector and which is from the 1080p model. In short, the compression of the 1080p signal into the 720p native pixel matrix on the AX200 is accomplished with surprisingly little loss of detail. This runs contrary to what you might expect, since the 1080p models are selling for several times the price of the 720p's. So you get the impression that loads of extra picture detail is what you are paying for when you buy a 1080p projector. This is not really the case. You do get a little bit more detail, but it is not nearly as significant as you might expect. So, why pay the extra money? The truth is that the AE2000 smokes the AX200 in dynamic range. The black levels and contrast of the AE2000 are much better than those of the AX200. And the extra contrast gives the picture better definition, color saturation, and elegance, especially with material that is inherently high in contrast that pushes the limits of the projectors. Ultimately the AE2000 is head and shoulders above the AX200, in a completely different performance class. For the true videophile, it is no contest, and there is a clear reason to spend the bigger bucks for the genuine 1080p model. Nevertheless, if you are on a smaller budget and want a picture that looks almost like full 1080p resolution, the AX200 does a truly astounding job at delivering the image detail from Blu-ray, HD DVD and HDTV. In buying the AX200 instead of the AE2000, you are primarily sacrificing contrast, deeper black levels, and the corollary effects of apparent image sharpness and improved three-dimensionality that come with higher contrast. But for the money, it is a bargain--you get almost 1080p resolution at a fraction of the price. We are in a fortunate position at the moment. We have the opportunity to set up and test six 1080p projectors side by side. These include the new Panasonic AE2000, the Sanyo Z2000, the Sony VW60, the InFocus IN82, the JVC RS1, and the Optoma HD80. Normally review samples come in at different times, but we got them all at once. This enables us to look at them side by side and see the subtle (and sometimes not so subtle) differences between them. We want to do some thorough side by side evaluations before posting reviews, so we can comment on the relative merits of each projector. Accordingly, it will be another week or so before we begin to publish individual reviews. Each model reviewed will have commentary regarding its advantages and weaknesses relative to the competition, and it is taking some time to get this data together. From our testing so far, one word of caution I can offer is this: do not take the contrast ratings on any of these products seriously. The official contrast ratings do not reflect in any meaningful way how the human eye actually sees the images of these products. For example, the Sony VW60 is rated at 35,000:1 contrast, but our testing so far indicates that it is showing less apparent contrast than models with contrast ratings in the 12,000:1 to 16,000:1 range. We do not yet have a sample of the Epson Cinema 1080 UB, which is rated at 50,000:1, but we would not be surprised to find that its performance, in terms of how the eye actually perceives the image, is more in line with competitors that carry more conservative ratings. This group of reviews will illustrate in concrete terms why the buyer will be wise to take published ANSI lumen and contrast specifications with a large grain of salt. Though they may be technically accurate, they have little bearing on how the eye perceives the image. Yesterday we posted the anxiously awaited review of the Panasonic AX200. I forgot to mention in that review that the replacement lamp for the AX200 is $395. I will update the review today with that info. Today we've posted Bill's new review of an exceptional XGA projector, the Epson 77c, selling for just $749. In the lab right now are two new 1080p projectors, the Sony VPL-VW60 and the InFocus IN82, which is that company's first 1080p projector. Also currently under review are the BenQ W500, which is an entry level 720p projector under $1,000, and the new 3000-lumen widescreen projector from Panasonic, the Panasonic PT-FW100U. We expect to be receiving the Panasonic AE2000 the Sanyo PLV-Z2000, and the Epson Cinema 1080 UB shortly. One other bit of news, Planar's announcement of the PD8120, the least expensive of the three new 1080p models debuted at CEDIA, has been retracted. That model will not be brought to market as planned, and it has been deleted from our Projector Database. It is a busy time of year for reviews. We will get them done as quickly as we can reasonably do them. The Panasonic AX200 review will be posted tomorrow afternoon. Thanks for your patience. We are currently working on reviews of the Mitsubishi HC6000 and the Panasonic AX200. The HC6000 is basically a refined version of last year's outstanding HC5000 with higher contrast and a few extra features. The review will be posted this week. The review of the AX200 is mostly complete, but we are waiting for Panasonic to announce a price on this model. It is not possible to make an assessment of the price/performance value rating until we know the price. So the review will be posted within a day or two of Panasonic's price decision, and at the moment we have no idea when that will be. My apologies to Planar ... I inadvertently neglected to mention their release of three new 1080p single-chip DLP projectors in the CEDIA show review. I have added a paragraph to the review to rectify this omission. These new models include the top of the line PD8150 to be shipping in December at a retail of $8,999. This is rated at 15,000:1 contrast and 1000 ANSI lumens. The PD8130 and PE8120 are less fully featured versions rated at 10,000:1 contrast that will sell for $6,999 and $5,999 respectively. All three will be sold exclusively through CEDIA dealers on a restricted basis.